On July 25, TD Bank in Canada turned its ATMs into "Automated Thanking Machines," giving some of their regular customers a life-changing surprise. For its #TDThanksYou surprise, the bank gave a $20 bill to every customer in more than 1,000 banks across Canada on July 25. Four branches in Toronto, Montreal, Calgary, and Vancouver set up the special Automated Thanking Machine, which gave customers money, flowers, and gifts. The bank also pre-selected more than a dozen regular customers at its local branches whom the bank knew would be "particularly delighted by a special experience," Chris Stamper, SVP corporate marketing at TD Bank Group, told BuzzFeed in an email. "Our local branch employees know their customers really well and often have close relationships with them. Some have been through tough times and some are just wonderfully kind and caring people." The bank asked these customers to come in to "test out a new ATM." "They had no idea what was in store," Stamper said. The "talking" ATM gave some of its customers flowers. ...along with a surprise visit from Blue Jays player José Bautista. 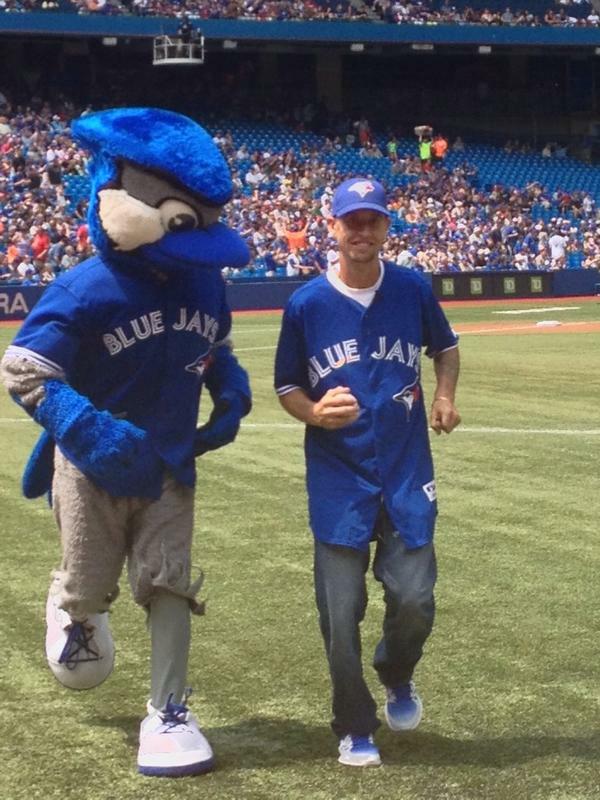 AND a chance to throw out the first pitch at a Blue Jays game! This mother got tickets to Trinidad so she could visit her daughter who has cancer and was recently operated on. Her personalized card read: "During this time we have come to know how giving, loving and supportive you are, especially to your daughter in Trinidad. She's a lucky woman to be able to call you mum." Christine Todd, who had never been able to take her two young boys on a big vacation, got a fully paid, all-access trip to Disneyland. She also got two $1,000 checks for her sons' education. Todd told BuzzFeed that she had been called into the bank to give feedback about a new interactive ATM. So she was shocked when the talking ATM gave her two $1,000 checks for the Registered Saving Education Plan for her sons, ages 8 and 10. "At that moment, I started crying," said Todd. "That means a lot to me. I've worked hard and done everything I can to be a good mom but I could not have done this for them." She added that the people at the bank had gotten to know her over the years and had helped with the estate of her late husband. "We're a very grateful family. We live each day without expectations," she said. "This was above and beyond anything I could dream for." The joy on people's faces was priceless. Some were too shocked to speak. Others were touched even by the bank's simple gesture of giving flowers. "Never in all my life had such a beautiful surprise." And some could not stop their tears.